At Altera, one of our main characteristics is that the sector funds are managed in an umbrella structure. By making use of classes of stock, Altera’s shareholders are offered the opportunity to invest in three real estate sectors – residential -, retail and industrial – at their discretion. with clear governance and compliance with laws, regulations and best practices (including INREV). The investment portfolios and the management organization are combined in one legal entity (NV). The management is therefore not part of a separate legal entity (with its own revenue model and profit targets based on fee-rates). We are not charging performance-related fees. This set-up means that all investment results flow back to the return of the shareholders and only the actual costs are charged. We do not perform any management activities for third parties, for example in the form of separate accounts. This avoids conflicts of interest and priorities. Altera aims to offer a stable and predictable return on funds for investments in Dutch real estate. The returns are compared to a relevant benchmark; we use the MSCI / IPD NL benchmark. We also participate in the INREV Asset Level Index that started in 2017. Every quarter we report to shareholders about these portfolio and fund returns. The reports explain how the returns measure up against the objectives formulated in the investment plan. 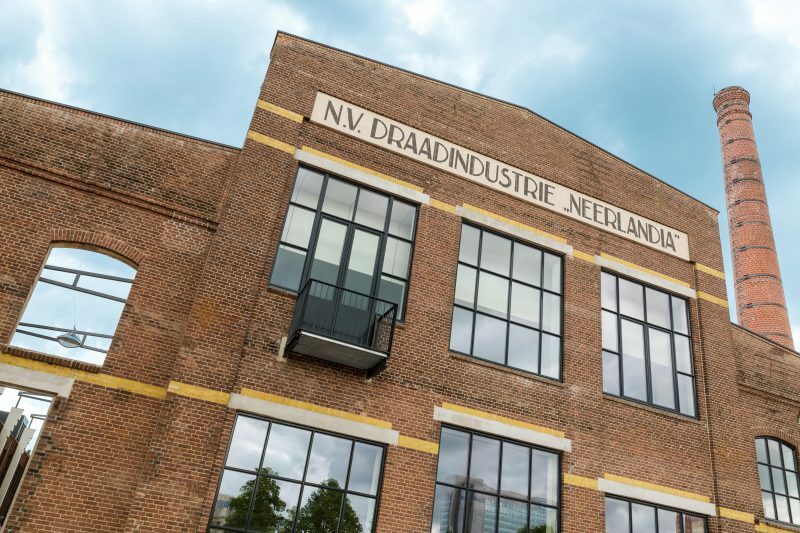 We achieve our investment objectives by investing in submarkets of the Dutch real estate market in which a long-term real estate horizon is used that fits in with our shareholders’ objectives. Our investment policy is transparent and based on analyses from research. The risk is limited by not applying structural leverage and refraining from project development activities. This policy is aimed at providing bona fide real estate financing to the greatest degree possible. Our aim is to be fully invested. For each sector portfolio, a framework is formulated for the investment policy for a medium term of three years, which is submitted to the shareholders of that sector for approval. Within these frameworks, Altera draws up annual sector investment plans which are submitted to the Supervisory Board for approval. Our integrated structure has the added benefit of only charging costs incurred to participating investors, there is no additional profit mark-up or surrender of profits. Altera keeps costs down without compromising on the professional quality of the platform or compliance with laws, regulations and industry standards. The cost level is compared with the INREV TER and is based on a Peer Group Analysis performed and made available by us. Every year, the business plan for the coming year is discussed with all shareholders. An extensive collection of reports and information is available for our shareholders, with the aim of providing complete transparency about policy, results and the development of the investment product. In addition to that, our Investor Relations department maintains close contact with our shareholders and any questions are answered promptly and efficiently. The guidelines for the MSCI / IPD Dutch Real Estate Index apply to reporting on performance and costs at real estate level. Our annual report contains extensive reports on corporate governance, in particular on how risk management is organized and assessed. Management also issues the ‘in control’ statement based on these factors. You can find out more about this in the Corporate Governance chapter of the Annual Report. Institutional investors who invest in one or more of the sector funds through Altera are also shareholders of the management organization (public limited liability company) due to our integrated organizational structure. This means that shareholders are involved in decision-making on the strategy of the funds and the organization. Changes to the articles of association, the company profile and company policy require shareholder approval. Based on nominations, the shareholders appoint the members of the Supervisory Board. In admitting our shareholders, only professional investors with a long-term strategy are considered, for their ‘like-mindedness’. We define professional investors as either foreign or domestic pension funds, insurers, foundations, sovereign wealth funds and, under certain conditions, family offices. These professional organizations are often supervised and have appointed a professional organization to manage their assets. Institutional investors who are considering investing in Altera can obtain more information for their Investor Due Diligence through an online data room. The data room is set up in accordance with INREV guidelines. In the data room you will find the INREV Due Diligence Questionnaire and all relevant fund documents. Access to the data room takes place in consultation with our Investor Relations manager.